Minister Rabbitte said that Curran’s performance has “been of the highest standard”. 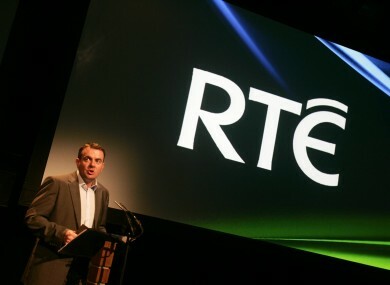 NOEL CURRAN IS to be the Director General for RTÉ for another four years, it was confirmed today. The Minister for Communications, Energy & Natural Resources, Pat Rabbitte TD, said that Curran’s performance “has been of the highest standard”. The Government approved the appointment of Curran as Director General of RTÉ for a further four years today, and Rabbitte noted that he has” demonstrated great leadership in his initial term, during which RTÉ has been operating in a very difficult economic environment, facing increased competition and commercial challenges”. He said that Curran’s reappointment “will be of great benefit to both the organisation and its staff”. During his first three years in the role, Curran oversaw many changes at RTÉ. These include a radical restructuring programme and the introduction of the digital free-to-air service, Saorview. The Director General acts as RTÉ’s Chief Executive Office and Editor in Chief. Curran is a Co Monaghan native and was first appointed Director General of RTÉ in November 2010, with effect from February 2011. He had left RTÉ in March 2010 but came back when given the Director General role. Email “Noel Curran to be RTÉ's Director General for another four years ”. Feedback on “Noel Curran to be RTÉ's Director General for another four years ”.